I set a goal to capture the faint outer Ha shell on this image, and I achieved that goal, which is very satisfying. 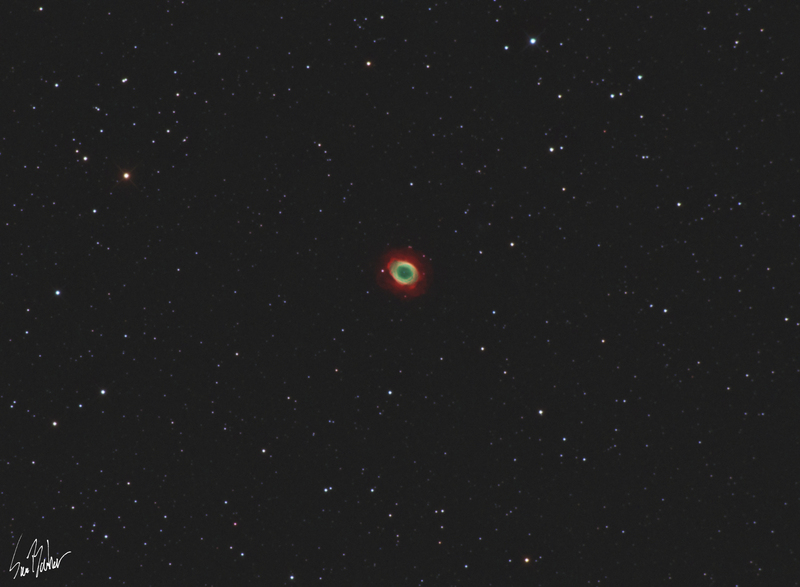 This is a huge improvement over my last ring nebula image (taken in 2015 with totally different equipment). The ring nebula is a bright planetary nebula in Lyra, around 2,000 light years away. It is a star rapidly shedding its outer layers into space, which are then ionized by the hot white dwarf in the middle. Here hydrogen is showed in red and oxygen in green/blue.